Ranger Rick Magazine Only $11.99/Yr! You are here: Home / Coupons and Deals / Ranger Rick Magazine Only $11.99/Year – Today Only! 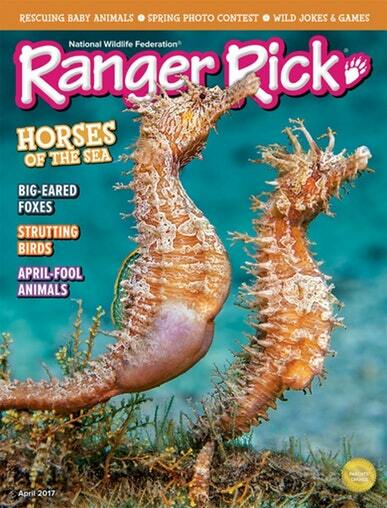 Ranger Rick Magazine Only $11.99/Year – Today Only! Looking for good reading material for your children? Through 11/10/17, you can subscribe to Ranger Rick Magazine for only $11.99 per year (55% off)! You can order up to 2 years at this price! Just enter coupon code HOMESCHOOLDEALS at checkout. Ranger Rick is a book for boys and girls ages 7-12. Each issue is packed with full-color photos of animals and stories of adventure. Ranger Rick is published by the National Wildlife Federation and focuses on teaching young kids about wildlife, nature and conservation. This magazine subscription is perfect for children who love the outdoors and animals. Click here to see the Ranger Rick Magazine deal! CLICK HERE for more magazine deals!